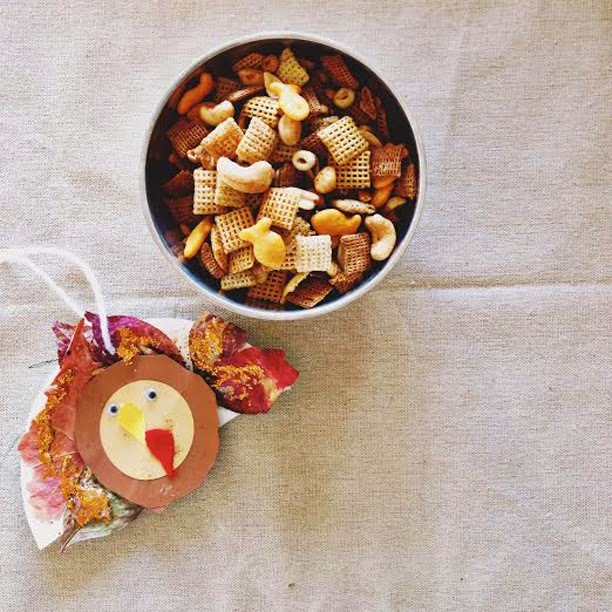 I don't know about you, but one of my favorite things about this season is homemade chex mix. Obviously I can make it any time of year, but I can only justify it between Thanksgiving and Christmas because of the fluffy factor. I am slightly particular about what goes into my mix (pretzels? nie.) and I have passed my addiction onto my kids. It's the perfect fall snack, in our opinions. And let's be honest, my kids could snack every waking hour of every single day. I have started making them a second lunch after school in hopes that the constant snack requests will cease. So far it's not really working. And despite all their snacking, they are all skinny minis, which is rude. Sometimes I am a really awesome parent, and I distract them with shows. It's the only way a girl can make dinner around here (and thus continue the incessant feedings). That is where my laptop and my Netflix subscription come in super handy. About a month ago, the Netflix Stream Team asked me if I wanted to share my faves with you all once a month, and it seemed like a natural match since I may have been one of the reasons "binge watching" is now a part of the urban dictionary. Doesn't our new vocabulary make you proud, America? Netflix does have some awesome shows going on right now, especially for the Thanksgiving/Christmas season. My boys think Free Birds is hilarious, we can't get enough of Mickey Mouse (even the little ladies) , and I love that they now have an exclusive Veggie Tales series. I especially love that Netflix asks who is watching - kids or adults - and then gives us infinite possibilities for kids of every age. Honestly, I do limit my kids screen time, but we're all about the balance in this house. So, now the most important question: what do you put in your chex mix? * this post is NOT sponsored by chex cereal, I am just obsessed. carry on. My secret ingredients are (1) bacon grease instead of butter and (2) extra chili powder. No bagel chips. They soak up too much seasoning and just way too salty.